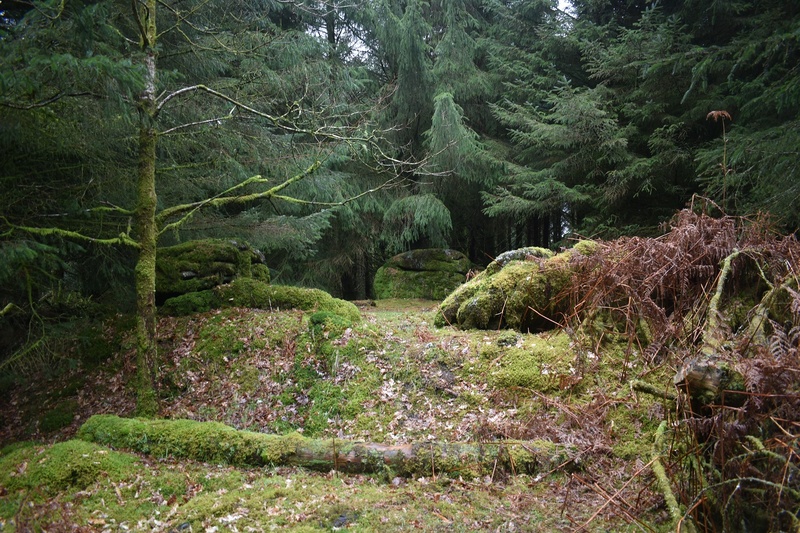 This tor sits within Roughtor plantation near to Burrator Reservoir. 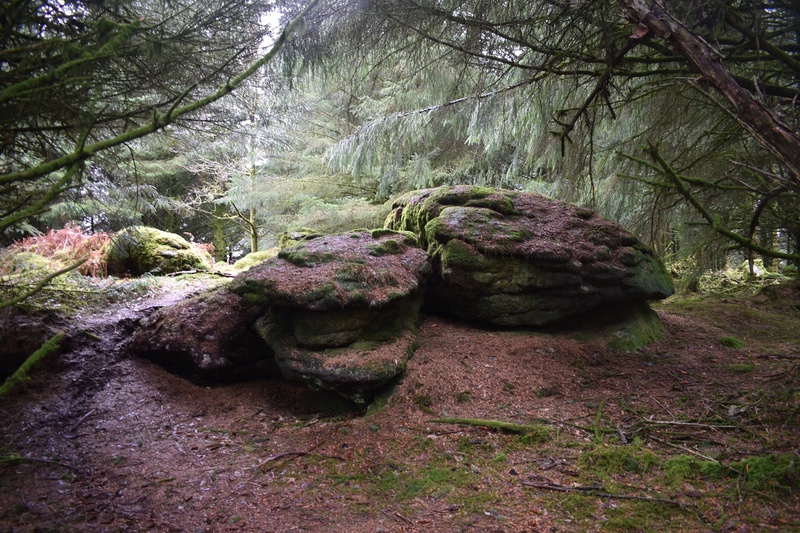 With its location being within woodland there is nothing in the way of a view however the tor is easy to find as there is a clearing to the south of this outcrop which gives easy access to the rocks. If you start to descend steeply downhill towards the reservoir then you’ve gone too far. 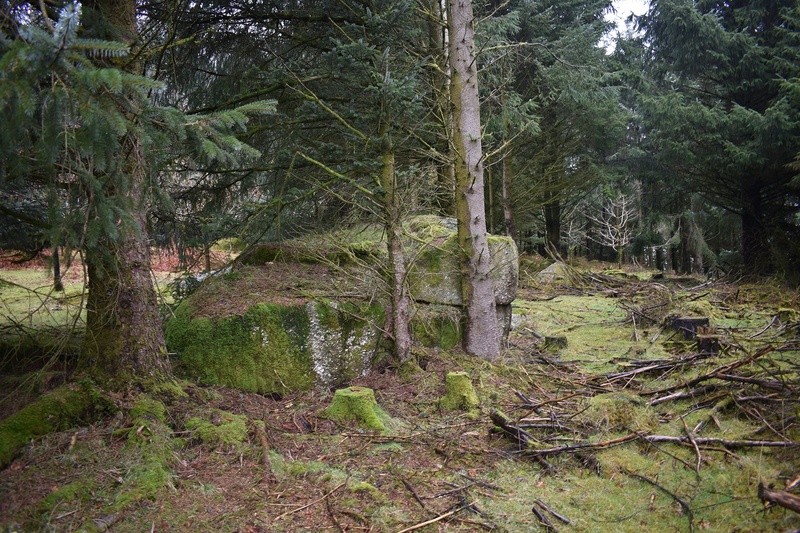 I got into the plantation from one of two ways, either via the stile on the south east corner of the plantation (follow the wall to the clearing and head in), or just next to the clearing there are stone steps up the side of the wall, making for an easy way in. 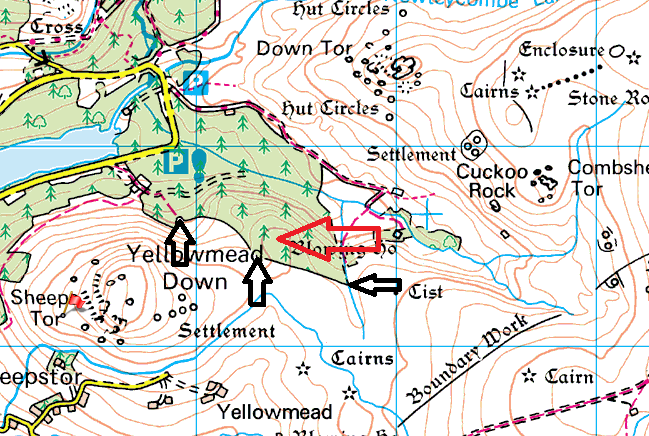 The entries to the plantation are marked below with black arrows. There are no military areas near this tor.